Dr D Digs Up Ancestors: Citizen Science Helps to Rewrite the Y Chromosome Tree..
Citizen Science Helps to Rewrite the Y Chromosome Tree.. Yesterday the first scientific paper was published by the American Journal of Human Genetics on a very interesting discovery that I previewed back in November on this blog: http://blog.ddowell.com/2012/11/your-paternal-line-just-got-much-longer.html. This was the discovery that an African-American in South Carolina had a Y-chromosome DNA sequence that is far older than any previously documented in fossils or in living individuals in Africa. 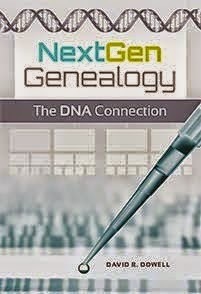 This discovery was initially stumbled into in the course of a "routine" genetic genealogy project by citizen scientist, Bonnie Schrack. It has since been verified and documented by academic scientists from a variety of disciplines.